In March 2018, the Philippine president Rodrigo Duterte announced that he was annulling his country‘s ratification of the Rome Statute "with immediate effect" in response to "shameless attacks” on his person by the International Criminal Court (ICC). The Rome Statute was the legal basis for the foundation of the ICC in 2002. The accusations are serious. More than 5,000 people have been killed in the Philippines in Duterte's anti-drugs campaign, according to official statistics. Human rights organizations say that anonymous death squads have committed at least a further 20,000 murders. Information from the Philippine Drug Enforcement Agency shows that between 1 July 2016, the day after Duterte's inauguration, and the end of November 2018, there were more than 115,000 operations against suspected drug dealers and consumers of illegal drugs. In 2017, Burundi became the first member state to leave the ICC, complaining that the court was focused on investigating Africans. Also, Omar Al-Bashir's spectacular flight from South Africa highlighted the ICC's impotence. The Sudanese president is the subject of an ICC international arrest warrant, yet he was apparently able to flee the country with the help of the South African government. In February this year, the ICC was also criticized over the unexpected release of the former president of Ivory Coast, Laurent Gbagbo. The public perception is of a weak international criminal court that is simply shown a red card as soon as it announces an investigation. But is that perception correct? "A country cannot evade investigation by withdrawing from the ICC. The investigations continue. Whatever has been discovered by that point will still be followed up,” says Moritz Vormbaum, a German expert in international criminal law. His colleague Claus Kress agrees: "A withdrawal from the international community of the ICC always relates to the future – the withdrawal has no retrospective effect.” Specifically, this means that if the court's preliminary investigations substantiate the allegations, the ICC will instigate proceedings against the Philippine president that will investigate his actions up to 17 March 2019. When the statute establishing the International Criminal Court was adopted in Rome on 17 July 1998, the then secretary-general of the United Nations, Kofi Annan, paid tribute to it as a "gift of hope to future generations.” The court started work four years later at its headquarters in The Hague. Since then, 123 of the 193 UN member states have joined, including all the countries of the European Union. Among the states that have not signed up to it are China, India, Israel, Russia, Turkey, and the United States. 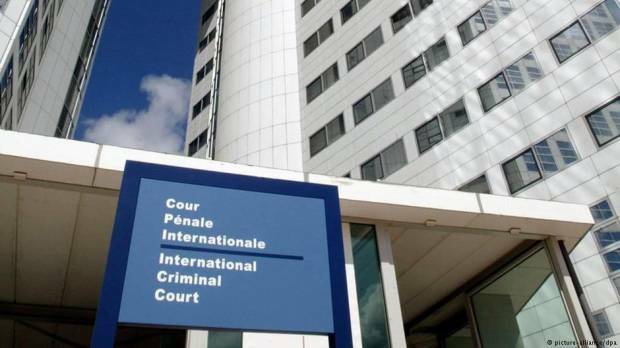 The ICC is responsible for prosecuting individuals accused of genocide, crimes against humanity, war crimes, and instigating wars of aggression. The international prosecutors only take action if the accused are not brought before national courts. Countries can also put in their own request for the ICC to initiate proceedings – and the UN Security Council is also able to refer cases to the court. "The establishment of the criminal court was the realization of one of the great ideas of the century,” says Kress. It's an idea that the expert in international law is passionate about. He was present at the negotiations in Rome in 1998, in his capacity as a junior official at Germany's Federal Ministry of Justice. Today's International Criminal Court is based on the military tribunals in Nuremberg and Tokyo after World War Two. "But these selective tribunals, which were set up by the victors, always had a legitimacy problem,” Kress comments. Then came the Cold War – and nothing happened for another 40 years. In the 1990s, the UN set up ad hoc criminal courts to deal with crimes committed during the Balkan wars and the genocide in Rwanda. "However, setting up criminal courts to deal with each separate crisis was not a long-term solution,” says Kress. And so the idea of installing a permanent criminal court began to gain traction. There are, however, structural problems. The International Criminal Court has no means of its own for applying pressure, nor does it have its own investigating authorities. Instead, it relies on cooperation from the countries concerned. The justice ministries of the member states are needed to fill the gap. "The member states are obliged to cooperate; this is what they signed up to when they acceded to the criminal court,” says Vormbaum. "Of course, it's a weakness of the court when member states refuse to cooperate with it – but there simply is no global police that could carry out investigations or order arrests.” The only thing a country has to fear if it refuses to cooperate with the court is political sanctions.